OTTAWA – The Forest Products Association of Canada (FPAC) says the recommendations by the House of Commons Standing Committee on Natural Resources on transforming the forest sector will help the industry reach the ambitious goals of its Vision2020. The committee report is calling for continued strategic investments promoting research and development of innovative technologies. This type of support is necessary for the industry to generate an additional $20 billion in economic activity through new products and markets as outlined in Vision2020. RICHMOND, BC – Catalyst Paper Corporation (TSX:CYT) today announced the appointment of Frank C. De Costanzo as Senior Vice President and Chief Financial Officer. A seasoned treasury and finance executive with significant experience and banking relationships across the globe, Mr. De Costanzo joins Catalyst from Kinross Gold Corporation, one of the world’s largest gold mining companies, where he has served as Vice President and Global Treasurer since 2010. A massive inferno at the former Great West Timber site produced smoke and flames that could be seen for miles. The fire near Prince Arthur’s Landing started sometime after 10 p.m. on Wednesday in Thunder Bay. Firefighters battled the blaze all through the night and remained on the scene until Thursday morning where they spent the rest of the day putting water on the still smouldering remains of the idle sawmill. U.S. hardwood lumber exports through April trailed the 2014 pace by 7%. With global inventories still on the high side, most buyers will take only what they need through the summer. Until the market finds its bottom this fall, buyers will only bite on larger blocks at deep discounts. U.S. housing indicators were largely positive in April—too positive, we think, to hold up to future revisions, especially with rising home prices and rising mortgage rates challenging housing affordability. And there isn’t much demand pull from housing markets elsewhere, either. Canada’s January-April housing starts were revised down, and May totals were the slowest for any May since 2010. TUMWATER, Wash. — State safety regulators have fined the Manke Lumber Company in Tacoma for 25 serious and 11 general safety and health violations after a worker died. The Department of Labor & Industries says the fines topped $87,000. The agency launched an investigation after Jeffrey Busha was killed in December. He died when his clothing was caught by a rotating shaft that pulled him into a conveyor as he tried to loosen jammed lumber. The violations included failing to safeguarding exposed shafts at four locations, including where Busha died. VANCOUVER, BRITISH COLUMBIA, — INTERFOR CORPORATION (“Interfor” or the “Company”) (IFP) announced today it has completed the acquisition of a sawmill in Monticello, Arkansas from The Price Companies, Inc., thereby increasing its annual lumber production capacity to 3.2 billion board feet, of which over 40% is in the US South. “We are pleased to extend our US South footprint in Arkansas and welcome our new employees to Interfor,” President and CEO Duncan Davies said today. The port of Liverpool is building a £100m terminal to handle wood pellets for the Drax power plant on the east coast, in a boost to the government’s efforts to make northern England’s economy more integrated. Drax, the UK’s largest power plant, which provides more than 7 per cent of its electricity, is converting three of its six coal-fired units to biomass to reduce its carbon emissions and its costs, as taxes on coal rise. The wood pellets — to be shipped to Liverpool from North America — are a byproduct of the commercial forestry and sawmilling industry. Investors must take action to protect their portfolios against climate change, even as governments worldwide step up their efforts to combat global warming, according to new analysis by Mercer, the consultancy. Mercer warns that returns across most asset classes will be affected by climate change even if governments agree aggressive measures to mitigate its impact. The Group of Seven industrial powers agreed in June that the world should phase out fossil fuel emissions this century. However, doubts remain about whether it will be possible to secure a global agreement that includes developing countries at an important UN climate change conference in Paris in December. SEATTLE — Lumber prices have fallen throughout a majority of the main softwood lumber markets in the world during the 1Q/15. The biggest declines have occurred in the US, Canada and the Nordic countries, while the drop in import prices to China and Japan has been more modest… So far in 2015, the lumber market in the US has not improved as much as some market observers predicted (or hoped) last year. US housing starts during the four first months have ranged between 900,000 (February) and 1.13 million (April) starts on a seasonally adjusted annual rate. Despite housing starts being lower in the 1Q/15 than in the 4Q/14, lumber production in the US and Canada has increased slightly. A federal report says the state’s diverse landscape and resources could make it an industry leader. 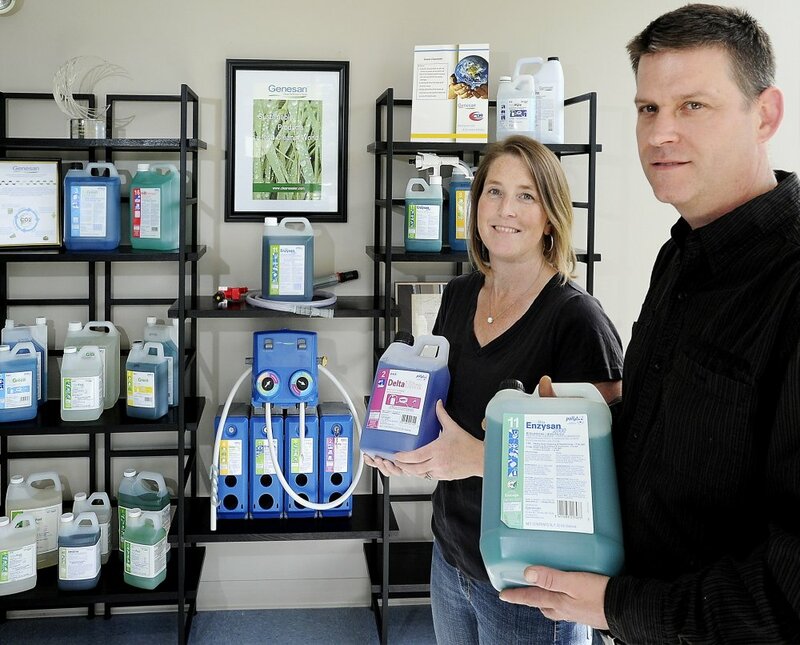 Of the 50 states, Maine has the third-highest concentration of jobs in the “biobased products” industry, which seeks to replace petroleum products with those made from renewable resources such as plants. But it has the potential to create many more. That’s the finding from a report from the U.S. Department of Agriculture issued last week, part of a USDA campaign to promote the biobased products industry, saying it offers a way to bring manufacturing jobs back to states with abundant natural resources such as Maine. One product that Vilsack believes could be manufactured in Maine on a large scale is cross-laminated timber, a building material made of pressed and glued wood that is more comparable in strength to steel and concrete..
ORONO, Maine — Where the Aegean and Mediterranean seas meet off the coast of Turkey, thermal insulation for buildings isn’t much of a concern. Not like in Maine, at least. …When Nadir Yildirim, a Ph.D. candidate at the University of Maine’s School of Forest Resources, arrived in Maine from Turkey in 2011, building insulation was a curious thing to him. He explored the concept and eventually saw opportunity for foam insulation made from all-natural compounds. …The opportunity he saw got a vote of confidence earlier this month from the National Science Foundation, which awarded Yildirim and his business partner, Alex Chasse, a $225,000 grant to help start their own lab and in the course of a year refine the process for making foam insulation using wood fibers and organic polymers. Mark Henderson, C3 Ltd’s port manager, accepts his company’s award for logistics/transport/port excellence from Phil Caulton, Dynes Transport general manager, during last night’s Southern Wood Council Forestry Awards 2015 at Forsyth Barr Stadium in Dunedin. The southern forestry industry’s best and brightest talents were acknowledged at the event, at which five awards handed out before an audience including Associate Primary Industries Minister Jo Goodhew. Other awards were. – Modern apprentice of the year: Sam Connor, Dave Paul Logging. British-based manufacturer Reckitt Benckiser Inc. has suspended its tree-planting program on farmland in the B.C. Interior after continued opposition from local governments. Communities from the Peace, Prince George and Cariboo regions grew increasingly alarmed as the carbon offset program known as RB Trees for Change accumulated thousands of hectares of cleared farmland and planted seven million trees since it began in 2006. They objected to centrally located and productive farmland being lost, weakening local economies and encouraging new land clearing farther afield. 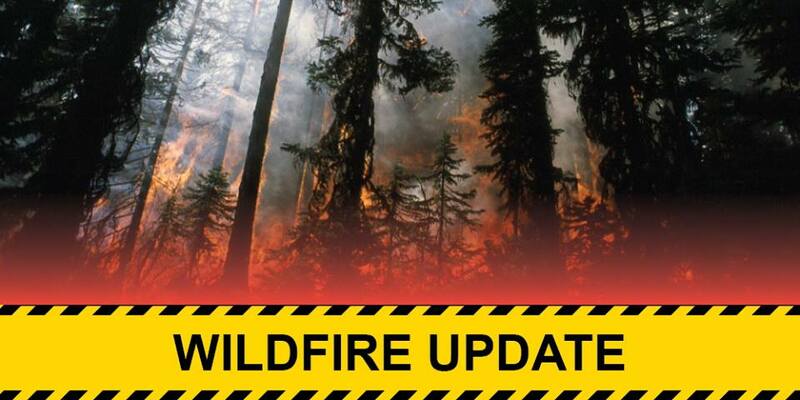 Crews are battling a four-hectare wildfire burning in the Mount Benson area, west of Nanaimo. According to the B.C. Wildfire Management Branch, the fire was caused by humans and under investigation to determine the specific cause. No structures or homes are threatened by the fire. Thirteen firefighters, two helicopters and airtankers are fighting the blaze, “which has grown in quickly in felled and bucked timber on private forestry land,” according to the wildfire management branch. Minister of Forests, Lands and Natural Resource Operations Steve Thomson has responded to the City of Revelstoke regarding the controversial proposed logging in Revelstoke’s cross-country skiing and mountain biking areas at Mount Macpherson. Previously, the Columbia Shuswap Regional District board received a letter that was interpreted as a rebuff of their call for more consultation on forestry issues. This time, Revelstoke City Council’s request for more consultation on Mount Macpherson logging was parried, with the forests minister writing that plenty of consultation had occurred, and was ongoing. It’s still early in the wildfire season and yet B.C. has already eaten through $52.5 million of its $63-million firefighting budget for the year. The province is parched after an unusually warm winter and a hot, dry spring, raising concerns that this could be a particularly rough season for fires. B.C.’s annual wildfire budget is based on very conservative estimates, according to fire information officer Ryan Turcot, and the province might be able to offset some of those costs with money recovered by sending crews to other jurisdictions like Alberta. “We do have the power to spend more than that and we will spend whatever’s necessary to fight the fires,” Turcot said. Re: “Old-growth logging could trigger protests: group,” June 9. I think it is short-sighted to cut old-growth forests when we can have tourists coming to B.C. for the next 500 years to view those forests. There are few stands of old-growth timber left in B.C. It would be an incredible shame to cut these for a small and temporary profit. The provincial government should act to preserve these forests. The easiest solution is to make all old-growth forests provincial parks. Timber companies could receive tax credits to cover lost revenues. Then, in a hundred years, our grandchildren will be able to see nature at its finest. Kamloops, B.C. – Although smoke is still very visible, crews are making progress on the Cisco road fire, burning south of Lytton.The wildfire is now 50% contained. About 200 fire fighters, aviation staff, and support staff are working to extinguish this wildfire which was first reported on June 11th. The fire is estimated to be 1,885 hectares in size.. The increase in the size of the fire is due to controlled burning. The north side of the fire is the main focus, as that is the edge closest to structures. Crews in the Northwest Territories are fighting two fires near Fort Smith, and two cabins north of the town may have been burned. One of the fires is just west of town on Salt Mountain near Highway 5. Crews from N.W.T.’s Department of Environment and Natural Resources and Wood Buffalo National Park are fighting it. Richard Olsen, N.W.T.’s manager of fire operations, says the other fire is about 80 kilometres north of Fort Smith and crews are working to keep it away from structures in the area. A wildfire burning northwest of Whistler, B.C., is expected to grow as hot and dry conditions are predicted for the region in the coming week. B.C.’s Wildfire Management Branch says crews have contained about 30 per cent of the seven-square-kilometre fire raging in the Elaho Valley, located 67 kilometres west of Pemberton, B.C. “This fire is in very steep and inaccessible terrain, in thick forest,” says a notice posted on the branch’s website. “This valley, and the trees within it, are very dry and it is expected that it will not receive substantial rainfall in the foreseeable future.” The branch is warning hikers to steer clear of the area. LYTTON — The winds in the Fraser Canyon gust so strongly at times that it can be difficult to carry on a conversation with someone standing just a few steps away. That makes a wildfire on the steep mountain slopes here particularly hard to fight. From a helicopter above the Cisco Road fire on Tuesday, ghostly wisps of white smoke could be seen drifting over scorched trees. As the southerly winds picked up speed, orange bursts of flame erupted here and there in the trees at the fire’s edges, sending off thick copper clouds… Some dropped water on the flames, but at least one chopper was literally fighting fire with fire. Positioned down below the edges of the blaze, the helicopter dangled a torch that dripped bright flames onto the trees, creating a burn line in the hope of keeping the wildfire contained. The federal government would fund disastrous wildfires at all costs instead of taking money from the funds designated to prevent them under a proposal that cleared a hurdle in Washington on Thursday. A budget committee gave an early go-ahead to fund firefighting based on the 10-year average costs, allowing the U.S. Forest Service to treat major wildfires like natural disasters and to fight fires without borrowing money from other parts of the budget, a move dubbed fire-borrowing. Oregon Democratic U.S. Sen. Jeff Merkley helped attach the measure to a larger funding bill that will likely pass later this year, though not until late in the ongoing wildfire season. Oregon fire officials said the move marks a shift in national policy of prioritizing wildfires in the future. KINGS BEACH, Calif. — Thinning of trees for fuels reduction and forest health resumed this week on roughly 340 acres of National Forest System lands on the east side of Highway 267 north of Speckled Avenue above Kings Beach. According to a news statement, the U.S. Forest Service will close the area from 7 a.m. until 6 p.m. daily through Oct. 15 for public safety due to heavy equipment operations and falling trees. The closure notice and map will be posted in the project area along with signs to indicate the location of thinning operations. DENVER – As ocean temperatures warm, rain and snowstorms become more intense, but may also come less often, according to distinguished senior science Dr. Kevin Trenberth at the National Center for Atmospheric Research. Those are changes the people who fight wildfires across the nation have noticed. “The climate is changing. I mean if you look at the last 100 years the average temperature has increased, if you looked at the last 30 years the average temperature has increased,” said Rod Moraga, a wildfire behavior analyst. Montana’s lone congressman, Rep. Ryan Zinke, didn’t think it was fair when I said in a Montana Public Radio interview that America didn’t let the Mississippi congressional delegation solve the civil rights problems in the 1960s and America isn’t going to let the Montana congressional delegation mandate radical logging without laws on our national forests now. I stand by my statement and here’s why. Zinke recently introduced a bill in Congress to require Americans to post a several hundred thousand dollar bond if they want to challenge a decision by the Forest Service in court. SAN DIEGO – A group that represents wildland firefighters believes a policy change at the highest levels of government could lead to slower response times for fires at national parks. “It’s a catastrophe waiting to happen,” said the Casey Judd, president of the Federal Wildlife Fire Service Organization. 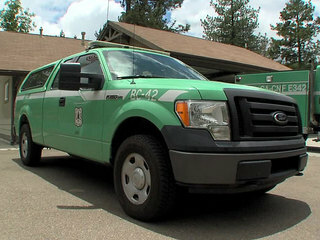 Team 10 first reported on the policy change last week after hearing from multiple sources that on-duty chiefs for the U.S. Forest Service could no longer take their duty vehicles home. Sources claim not having those command vehicles and the radios inside them means fire chiefs will take up to an hour longer to respond to fires, jeopardizing public safety. tate and federal wildfire officials say the first week of fire season saw only moderate wildfires break out across Oregon, despite extremely dry conditions. Fires on state-protected lands Sunset Grade fire: The 67-acre fire, reported June 13, burned on the Tillamook State Forest. Oregon Department of Forestry, assisted by the Forest Grove and Banks Fire departments, contained the fire the next morning. Cause is under investigation. Can a small Alaska town overcome the booms and busts of resource development? Fire crews progressed with their burnout along the southern flank of the Buckskin Fire, which is 4,900 acres and 30 percent contained. This controlled burning operation combined with the main fire consuming unburned pockets of vegetation increased the amount of smoke in the area. Fire officials anticipate the burnout to be completed within the next two days. Firefighters completed a containment line in their effort to secure the southwest corner of the fire near Baldface Creek. Crews implemented a combination of indirect line and natural barriers to locate the fireline and also cut a helispot for support and safety concerns. WASHINGTON – Drought has killed about 12 million trees in California’s national forests. In the Rocky Mountain region, an epidemic of pine beetles has damaged trees over a stretch of 32 million acres. Altogether, up to 40 percent of the entire national forest system is in need of treatment to reduce the threat of catastrophic wildfire and disease. As the national forests suffer from drought, density and infestation, House Republicans are resurrecting efforts to thin more quickly millions of acres and take down dead trees. It’s not a new battle by any means, but this time some of their proposals are winning positive feedback from the Obama administration, even as some environmental groups and House Democrats express concerns. OLYMPIC NATIONAL PARK — The drought season’s first wildfire in Olympic National Park slowed a little today because of cooler and cloudier conditions, an incident report said this morning. The fire is at the confluence of the Queets River and Paradise Creek and has been named the Paradise Fire. As of 7 a.m., it was reported to cover 381 acres and continues to burn slowly along the river in an area of tall, centuries-old trees, according to InciWeb Incident Information System. The 48 total personnel on the scene are working to limit the fire’s spread on the west side, and will then move eastward to capitalizing on the cooler and moister weather. Additional fire crews and a helicopter are on order. BIG BEAR LAKE, Calif. — Crews working amid sweltering conditions in rough terrain have slowed the spread of a huge forest fire that’s churning through timber in a remote area of the San Bernardino Mountains. The U.S. Forest Service said Sunday that the blaze in old-growth wilderness east of Los Angeles is holding steady at 25 square miles. The fire is 15 percent contained as it pushes east toward the Mojave Desert. About 400 buildings, including old cabins, are threatened but none have been lost. The heated debate over whether to curtail the logging of old-growth forests to protect the northern spotted owl was at full throttle when the federal government declared the bird a threatened species June 22, 1990. At the time, environmentalists worried that the federal plan would fall short of saving the spotted owl. Timber interests worried that a wave of environmental rules would gut the Olympic Peninsula’s wood-products industry and devastate communities. Twenty-five years later, the effects of the landmark decision can be seen in the reams of economic, industry and environmental data routinely gathered by state and federal governments. The outcomes are by turns expected, disheartening and surprising. ROCKY POINT, N.Y. — For generations, the southern pine beetle has attacked forests throughout the southeastern United States. Now it is methodically making its way northward, destroying thousands of trees in New York, New Jersey, Connecticut and elsewhere. Some suspect its presence in new locales may be the result of climate change, although evidence is still being collected. The beetle is the size and color of a chocolate sprinkle. It feeds on the living tissue under the pine tree’s bark, eventually killing it. Female beetles release a pheromone that leaves a trail for other beetles to follow, causing destruction throughout a forest. BATON ROUGE, La. — A Texas logger faces one count of felony timber theft following an investigation by the Louisiana Department of Agriculture and Forestry. On Thursday, forestry agents arrested Ronnie Dale Clayton of Linden, Texas, and booked him into the Caddo Parish Detention Center. Clayton is accused of cutting an 80 acre tract of timber in Rodessa in Caddo Parish without first obtaining consent from 80 percent of the landowners. Agents say Clayton assisted a landowner in securing a Texas notary, who notarized 15 falsified timber cutting agreements. They say Clayton paid the owner $35,000 for the timber. SANTIAGO – As part of efforts to counteract desertification and erosion brought about by climate change, Chile will invest $250 million to plant vast tracks of native forest, the national forestry agency said on Friday. Home to the Atacama desert, the world’s driest, Chile will plant trees on 100,000 hectares. The forestry agency Conaf will also incorporate a similar amount of forest in the 13 million hectares it already manages as part of the United Nations Framework Convention on Climate Change. “Some $1.5 billion have been provided in recent years to recover lands, in areas like forestry, prairies, and agricultural lands,” Conaf head Arron Cavieres said.